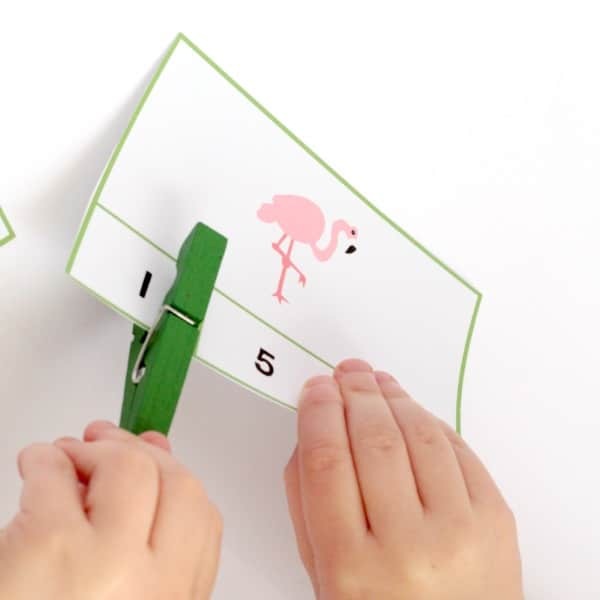 Learn to count in style with these fun zoo number clip cards from 1-10! Perfect for preschool and kindergarten math centers and homeschoolers! 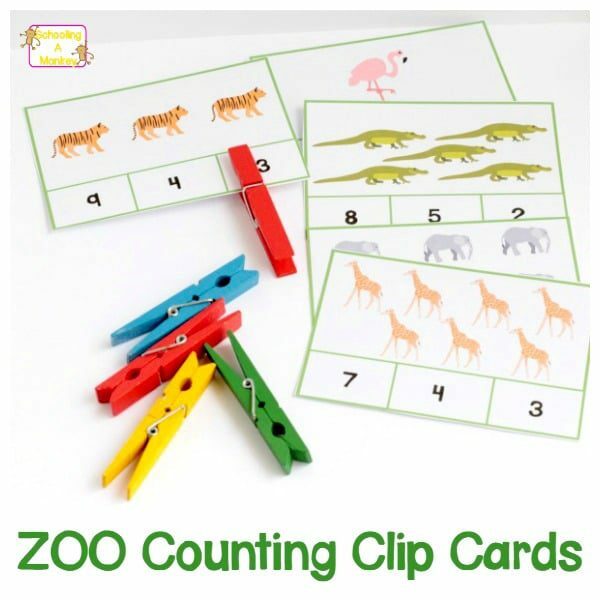 These super-cute zoo number clip cards help kids learn to count from 1 to 10 by counting the adorable zoo animals! This set of number clip cards is perfect for preschool and kindergarten math centers. Parents and homeschoolers can also use these to boost counting skills at home! You will be directed to the download page. Click “Download: Zoo number clip cards” to save your printable. You will also be sent an e-mail link to download your printable. Print as many copies of the PDF printable as you need for your family or classroom. Do not distribute the pdf file. Instead, send friends to Schooling a Monkey to download their own copy. Go here for more info on how to use these fun zoo number clip cards! Images from Empty Jar Illustrations.